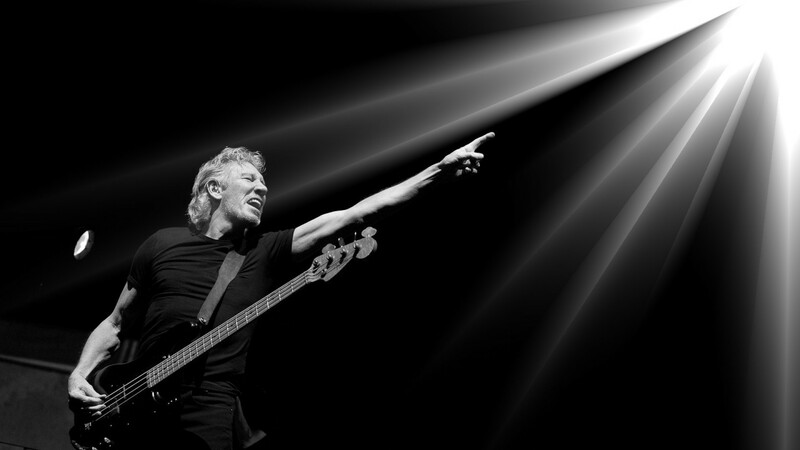 The former Pink Floyd bassist and conceptualist takes us through his first album in 25 years. 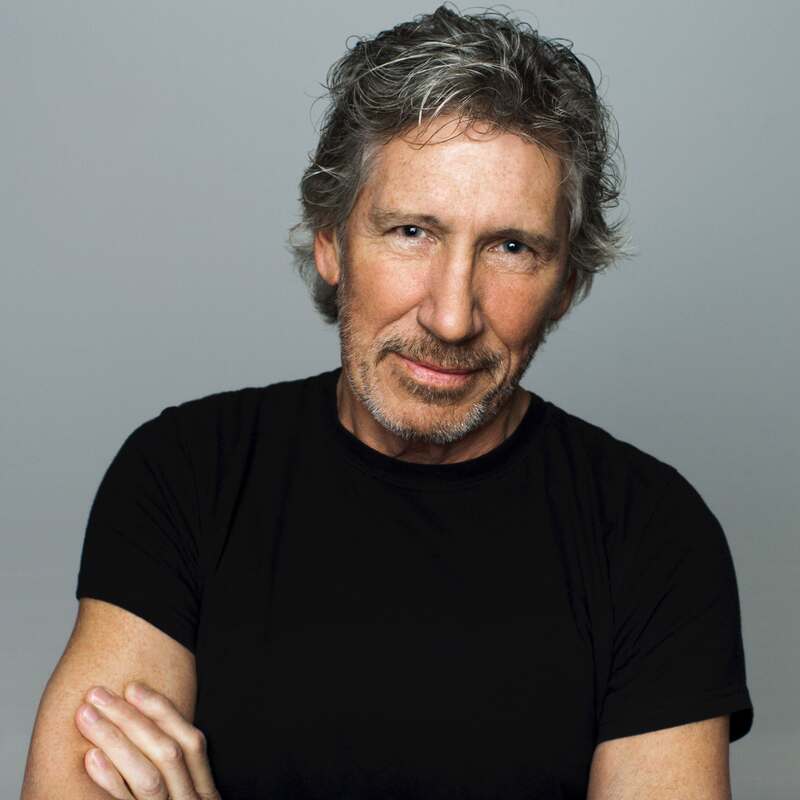 Roger Waters’ record company commissioned this radio interview, which we now publish for interest’s sake. It took us ages to sort out the mistakes of some idiot transcriber, so be kind if you find any further gremlins, and keep an eye out for Gary Steel’s forthcoming review of the album, for a very different perspective. So what gets you thinking to say, “If I was God, I might have done a better job.” There’s a lot of interesting things that some people will take the wrong way, you know. Roger: Well, yeah because a lot of people have faith and personally I don’t believe that such a thing exists. There is no organised…I’m a bit like Einstein in this that there is… not that I’m clever like Einstein… he sort of believed that there was some kind of an organisation of natural history that provided such beauty in its mathematical conclusions that he could see that there might be something mystical involved in that, but that’s as far as he would go. But the identification of a sentient deity that has some effect on the lives of people, you know, on earth that is detectable is to me laughable. I don’t mean to offend anybody, but when I see soccer players and they score a goal in the go (points up) ‘thank you’. What are you talking about? It’s clearly dopey. That’s all. So, it’s tongue-in-cheek obviously. That first verse about the veins in the face and all of that, but it’s kind of to set the scene. FOR THE ALBUM, ROGER DECIDED TO WORK WITH PRODUCER NIGEL GODRICH, WHO FAMOUSLY HAS WORKED WITH RADIOHEAD IN THE PAST. 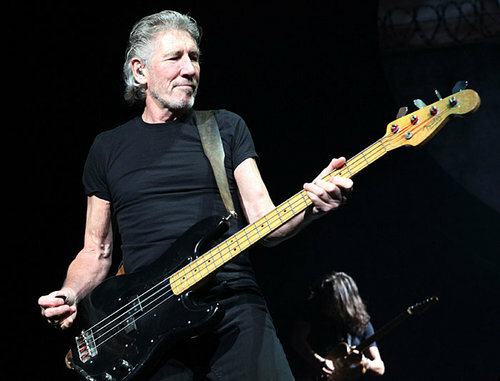 Roger: I very rarely relinquish the reigns of power in these situations, but Nigel has very strong opinions about the way he wants to make records, and he’s good at making records. And it became very clear when we started recording the first couple of little bits of music one of which was the song ‘Déjà vu’, and the other first thing we did was ‘Broken Bones’ that I could either stick my oar in every two minutes or work on a completely new discipline for me, which is keeping my mouth shut (Dan laughs) and waiting to see what happened, you know. And I did that a lot, but it was good because I think he’s made a very good record and obviously I didn’t keep my mouth entirely shut and contributed as much as I could whenever I could. But there is a verse of that song which Nigel, in his infinite wisdom or not, edited off the record. Not because he disapproved of it, particularly, I think, but maybe because… well, I’ll tell you what it is and you can make your own mind up. Since you bring it up, and you brought this up. If I had been God, I would not have chosen anyone. I would have laid an even hand on all my children everyone. Would have been content to forego Ramadan and Lent time better spent in the company of friends breaking bread and mending nets. IF YOU’VE BEEN PAYING ATTENTION TO CURRENT EVENTS, YOU KNOW ABOUT THE HORRIFIC ATROCITIES HAPPENING IN SYRIA AND IN AFRICA, WHICH HAS CAUSED MANY PEOPLE TO DESPERATELY FLEE THEIR COUNTRY. SEVERAL NATIONS AROUND THE WORLD HAVE BEEN BESEIGED TO ALLOW THE MILLIONS OF NOW HOMELESS PEOPLE A PLACE TO START A NEW LIFE, BUT THERE HAS BEEN PRESSURE BY SOME POLITICIANS AND CITIZENS OF THESE COUNTRIES NOT TO LET THESE REFUGEES IN. 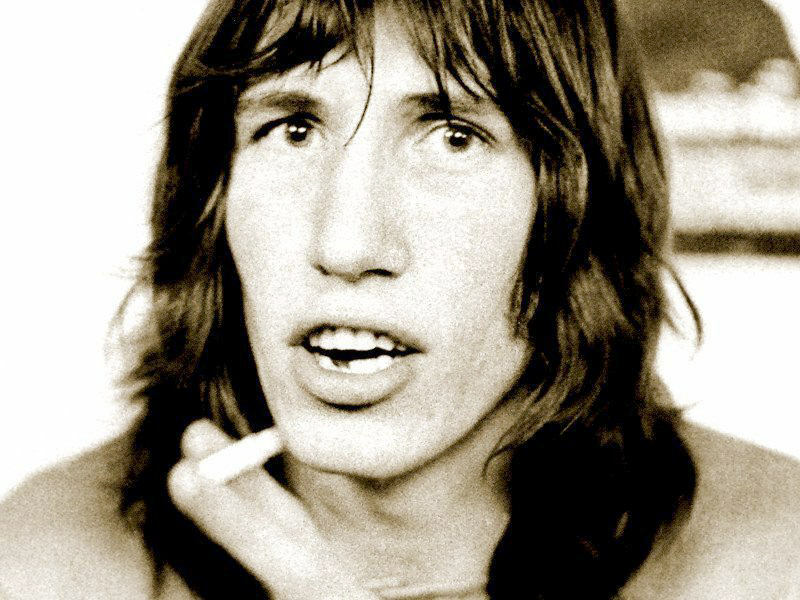 Roger: A lot of people might believe that babies can be bad, which I think is ludicrous. “No, this cannot be so.” A newborn baby must be innocent and they have to be taught evil behaviors by somebody. How do you feel about like how this refugee thing affects security for example? Roger: Well, none of the figures bear out any of the paranoia, is the actual point of the thing. So it’s like the whole thing about terrorist attacks. Even including 9/11, the injuries caused by radical extremism of any kind from anywhere are infinitesimal compared with any other cause of injury within the society within which you live. It is a complete irrelevance. It’s focused on because it’s a great method of controlling a population to identify an enemy of some kind. Everybody knows that this has been one of the most popular methods of controlling a population all through history. Roger: Exactly. If you can get somebody afraid of somebody else then you can get them to do anything. Sadly. Roger: Yeah. Well, I’m just quoting directly from the nincompoop president. That’s what he says. He believes that. That is one of his truths. He believes that greed is a good thing. He is Gordon Gecko, which is why it’s so interesting that he has been elected to the highest office in the land. Maybe we will understand it eventually and maybe it would behoove us to understand how that happened. It’s an attachment to the idea of celebrity. Do you know, somebody quoted, a bookie’s price for who might be elected president. Kim Kardashian’s 500 to 1. Now that tells you something. I mean, seriously. Even that somebody would quote a price saying that, but it’s not so out of order as we thought because if somebody had offered you 500 to 1 on Donald Trump being president 10 years ago for now, you would have said that’s not nearly long enough odds. Or you wouldn’t have taken it. You’d have wanted 10,000 to 1 because you would never believe it possible. 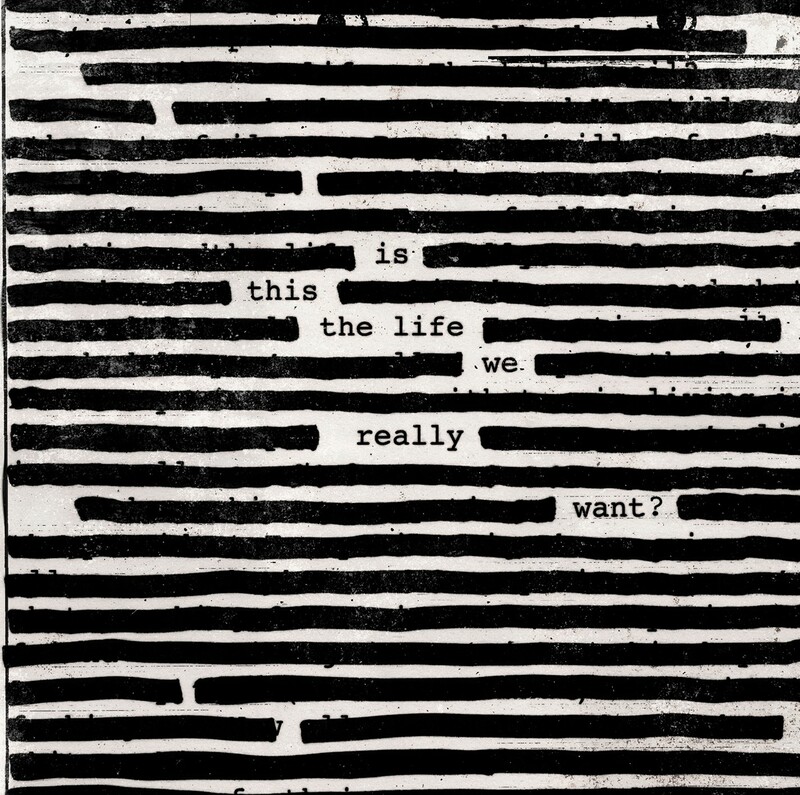 The title piece of the album, ‘Is This The Life We Really Want’, and that’s such a great question to me. Roger: I’d written a poem in 2008 called “Is this the life we really want?” which was just before the first Obama presidential election. And so we were coming off five years after the invasion of Iraq, and so we were just at the end of Bush II and of Cheney and Rumsfeld and Wolfowitz and Karl Rove and all those other assholes. And so there was a great feeling of maybe… maybe maybe maybe maybe maybe . And it was me asking the question, ‘Is this the life we really want?’ Do we really want to live in perpetual war? Which we were looking at and which we still are. So it’s still a relevant question. Now, eight years later, we discovered that we had high hopes for Barack, but it didn’t prevent us from apparently being willing participants in this thing. And at the end though if you sit by the sidelines when this stuff is going on and you don’t take part and try to fight it, you’re letting it become the normal. Roger: You are. In fact, I say that at the end of the song. It goes: “Every time the curtain falls on some forgotten life it is because we all stood by silently indifferent, it’s normal”. So it has become normal to stand by silent and indifferent. So maybe one of the good things about what’s going on now is that you go on marches, and that many, many people do, because let us not forget that on February 14, 2003, which was five weeks before the invasion of a Iraq, 20 million people marched all over the world. Twenty million saying, “Do not invade Iraq. It is a huge mistake. Apart from being illegal, we the people can see that it will be a disaster.” And they were right, of course. There are fundamental questions that we need to look at more carefully than the ones that we are looking at. The idea that we have to learn that the most important thing is that we empathise with others. Empathy is the key to everything. We used to have nightmares about nuclear war, and it’s really sad that we don’t any more because it’s become so normal and it’s probably more dangerous now than it has been since 1961 or whenever the Cuban missile crisis was. Or whenever it was that there was the accident over North Carolina when two bombs fell out of an airplane and one of them was armed and luckily it didn’t work. If that had gone off, that could have been it there. Right there. Roger: You wait until you see a picture of her. ‘Cause she’s real. She’s actually in a documentary movie called Dirty Wars that a guy called Jeremy Scott, an American filmmaker made, and it’s a story about J-Sock, but this one bit of it is about a missile, a cruise missile attack on the Yemen made by Americans. Some American sailor went (makes noise of button clicking) and this is a girl who’s killed by a cruise missile, but we have film of this particular child who, when I saw this kid – I just went, “ooooh” (in pain). So that’s kind of what that song is about. [‘Smell The Roses’] was the last piece of the jigsaw. That was another piece that we put together just playing. It’s another thing I’m playing bass on, so it’s us playing and then there was a bit of editing by Nigel and then suddenly there’s this thing that could be a song. Except it isn’t. And so I had to go and sit and kind of scratch my head and listen to it. I wrote tons and tons of stuff and eventually it became that. How I got you know into the idea of sort of writing something that was about a munitions factory and about torturing people and how it kind of all got mingled up with her, because she’s in it. She’s in the end of it, “Just a line in the captain’s log/Just a whine from a rescue dog another kid didn’t make the grade/Come on honey it’s a fair trade/Money honey yeah, so I don’t know. It is what it is. Yes it is”. It’s an outpouring of grief, but also its angry. It is a bit angry about that. Is it about how love conquers all in the end? Roger: Yes, it’s exactly about that. I couldn’t have put that better. The lyric in it is, “When I met you part of me died” and then I try to describe all negative aspects that I could imagine, not just about me but about anybody. The part that is deviousness, and this and that and the other, the part that is mischievous, global, colonial, blah-blah-blah. And so it’s about falling in love and the transcendental (sic) nature of love, and how it can affect your whole life and the whole way that you approach everything. But it’s also about falling in love with liberty. So at the end at the end of the list of everything negative I could think of, it says, “Bring me a bowl to bathe her feet in. Bring me my final cigarette. It would be better by far to die in her arms than to lingering a lifetime of regret.” And it would. If you cannot fall in love with liberty, then you’ve missed a crucial calling and when I say liberty, I mean liberty for all, Not liberty for Americans or for the Chinese, I mean liberty for everybody under a generally accepted rule of law that represents our attachment to ethical behavior and to generosity. Generosity that is inherent in the human spirit. All those women who marched on 21st of January. I’ve posted something on the 20th that says, “The resistance starts here.” It’s not really a resistance to Trump. Trump’s irrelevant. It’s a resistance to the ideas that he embodies, which is the ideas of alienation and isolation and exceptionalism and nationalism, which stand in the face of everything that is community: ecumenical and loving and human. So that when you’re marching next to somebody you feel that sense of community that you both know that you’re only there because you want life to be better for all men and women everywhere. That’s what it’s all about. Tell us about the ‘Us And Them’ tour. The show is going to be about… 25 percent of it will be the new album, which comes out just before the tour starts. And the rest of it will be stuff from my Pink Floyd years or after, but it’s all around the general theme that there really is no ‘us’ or ‘them’, there’s only us. My very strong feeling that we need to transcend our sometimes natural headlong rush to nationalism and exceptionalism and understand that we’re all human beings and that we have a duty to one another to cooperate and if possible even continue the possibility of life on this small weak fragile planet for a few more generations.